6 images. 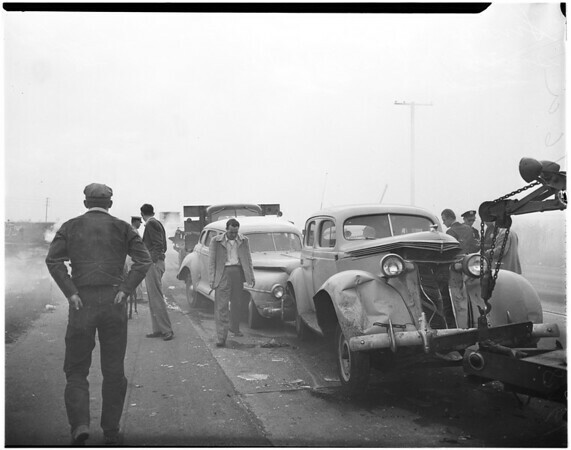 Wrecks caused by smog obscuring road, 16 December 1948. General views of autos and trucks piled up in freak accident on east side of Lincoln Boulevard, south of Manchester Avenue. (Sleeve reads: 8061 now 9593).